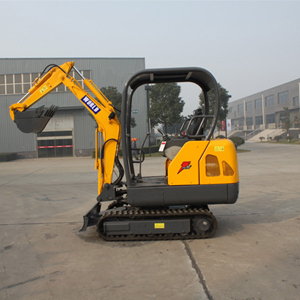 The compact excavator (mini crawler excavator) is equipped with blade so that it has the functions of excavating and bulldozing. It can be used in the fields like municipal project, road construction, garden maintenance and so on. Our compact excavator (mini crawler excavator) is multi-functional and can be operated even in the narrow space. The high efficient swing function operates easier and makes it easier to work in narrow space. World Equipment is a professional manufacturer and supplier of compact excavator (mini crawler excavator) in China. Our products have already been exported to Europe, South America, Middle East, Southeast Asia and Africa. We have clients in Congo, Tanzania, Russia, Algeria, Philippines, Kazakhstan, Iran, Saudi Arabia, Nigeria, Indonesia, Malaysia, The United Arab Emirates, South Africa, Australia, and Sudan. We can always gain the trust of clients thanks to the products' high quality, the competitive price, profound industrial experience. If you need compact excavator (mini crawler excavator), please contact us without hesitation. 2. Imported pump, valve and motor from Japan or Korea.